Features an exclusive animal print fabric with coordinating grey ties. Reverses to wood grain print. 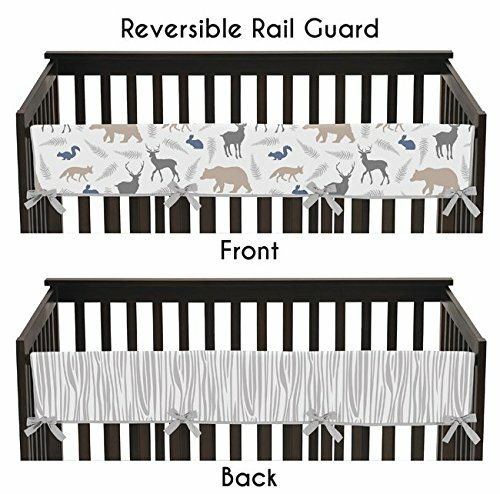 Single Front Rail Guard Measures 52in. x 18in.